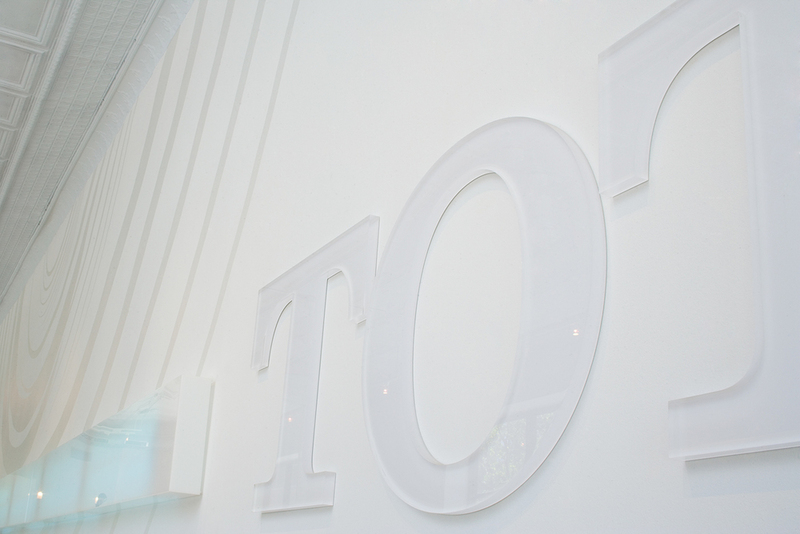 Toto — The Grillo Group, Inc.
TOTO, the world’s largest plumbing products manufacturer, is known for its innovative water-saving designs, top quality fixtures, and commitment to the environment. 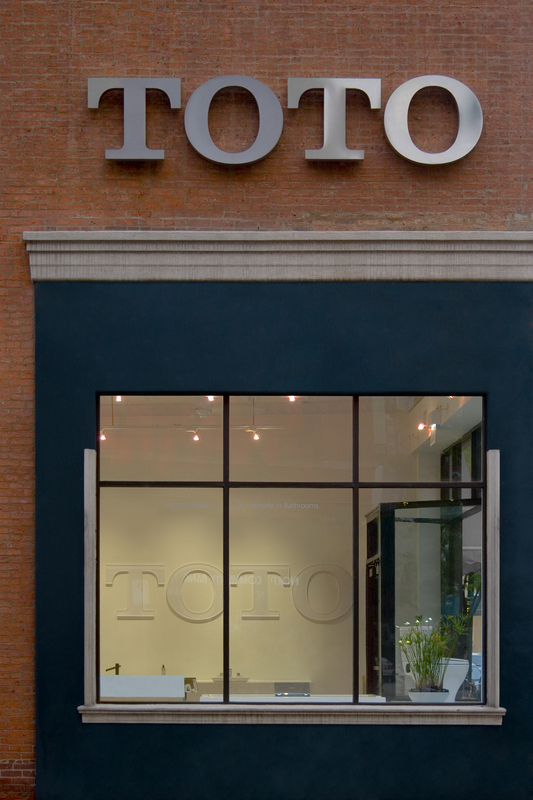 Located in the city’s River North area, TOTO’s Chicago Showroom is the place where architects, interior designers, and the public come to shop. To complement Florian Architects’ elegant minimalist design, we created a system of signage including product labels, an eight-foot wide transparent logo cut from three-inch thick acrylic, and custom wall graphics in the main showroom gallery and conference room. 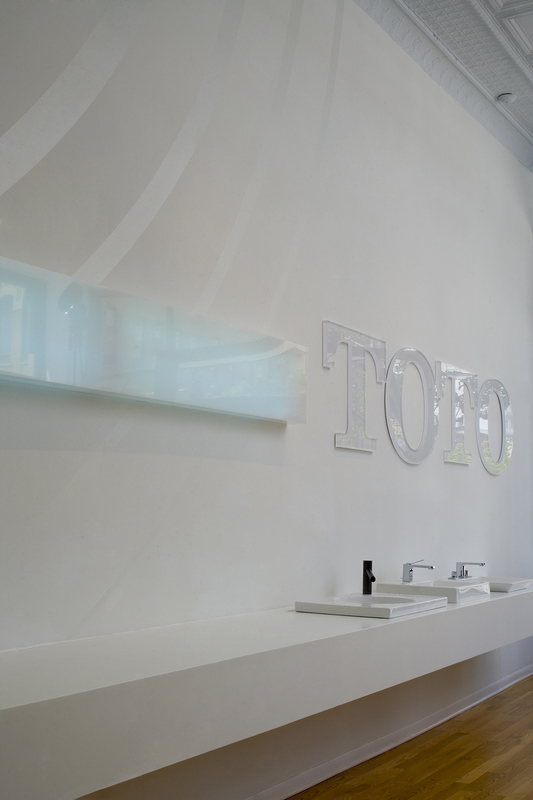 All applications were inspired by flowing water expressing TOTO’s commitment to environmentally sound and highly sanitary products.